Luxury Homes at Bargain Prices! 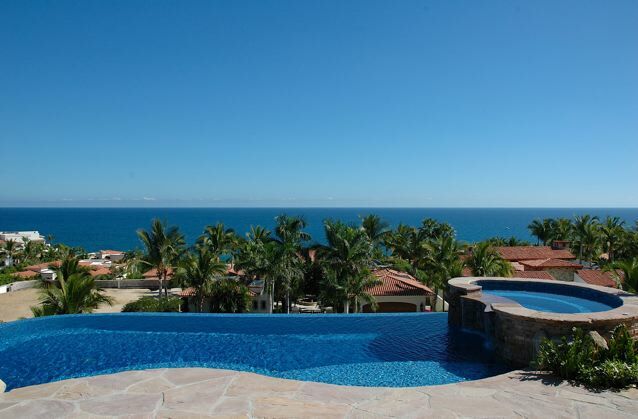 Here are 3 of the best deals Palmilla and Querencia have to offer and they won’t last long at these prices. In a category of it’s own, Villa de Avila presides over Querencia and the Mar de Cortez. You and your guests will enjoy approximately 8,500 sq. feet of air conditioned living space, 30 x 50 ft. cascading waterfall at the home’s entry. This home has 6 bedrooms, including two master suites, each of which includes kitchen features and a private patio. 3 Guest casitas are also included. Custom mahogany cabinetry, Egyptian marble tile, granite flooring, state of the art sound and lighting. 108 ft long salt water, infinity edged pool and 10 person jacuzzi. Oversized 4 car garage. 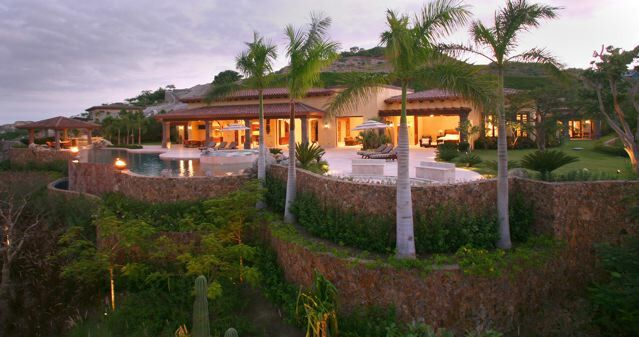 Casa Soleado is a charming, single level hacienda style home with huge 180 degree views of the Sea of Cortez. Enter through a traditional courtyard with bubbling fountain and lush landscape. Enjoy cathedral ceilings in the great room and a poolside palapa for shaded outdoor dining. Margaritas taste even better from the beautiful antique imported bar. The floor plan is open and provides lots of privacy for family or guests, with two bedroom suites in the main home and two more bedrooms and bath suites off the courtyard. The caretaker’s quarters, also off the courtyard, has a full kitchen in addition to the bedroom and bath. 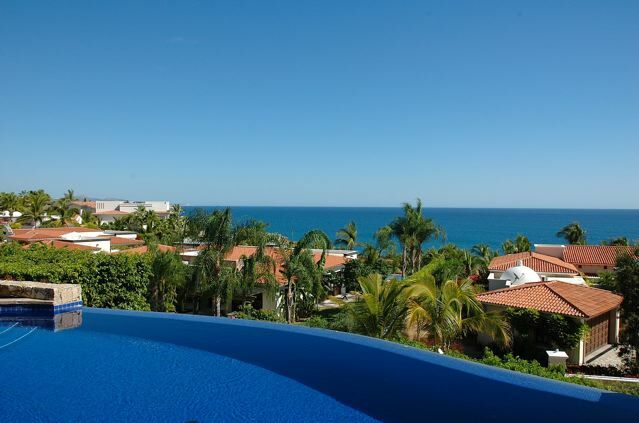 Hide out on the rooftop suntanning deck where you can enjoy big views and avoid tan lines! 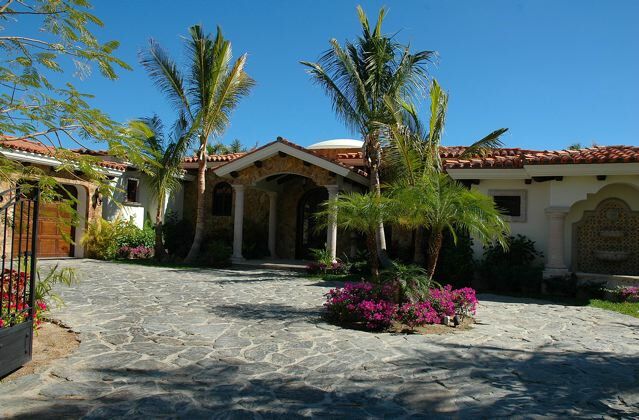 This home is located in Caleta, one of the most sought after neighborhoods in Palmilla. 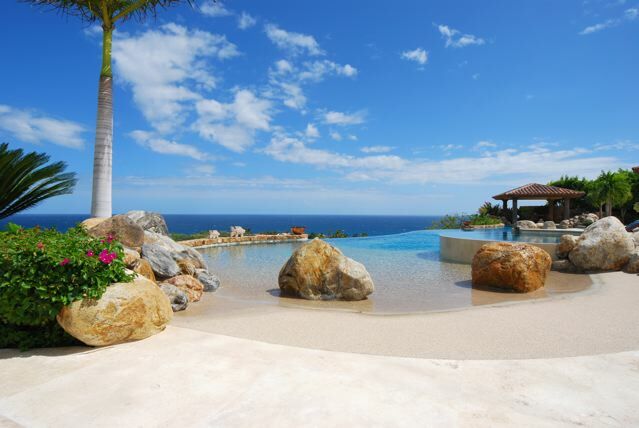 Perched atop the hillside of Caleta Loma in Palmilla, with sweeping 180 degree views of the Sea of Cortez, resides the elegant masterpiece, Casa Bella Vista. The 7800 square foot new custom home offers 6 bedrooms, 7-1/2 bathrooms, office and extra large entertainment room. Four master bedroom suites provide ultimate privacy with secluded terraces and views from beds and baths. Dramatic entry to the living room with fireplace and brick boveda dome ceiling. 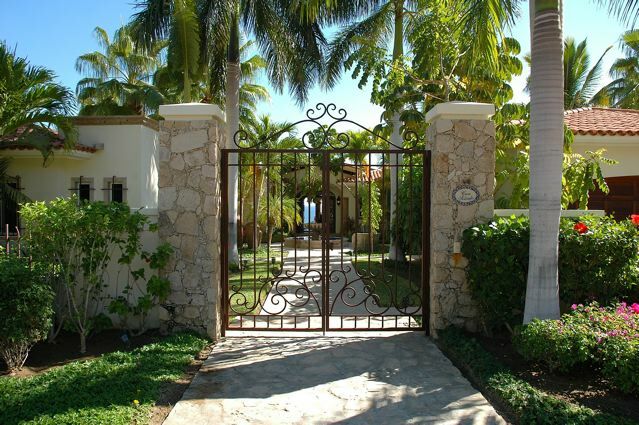 Open the mahogany pocket doors to enjoy the cascading infinity pool, jacuzzi, fire pits and lush landscape. Large, formal dining room with beam ceilings. The kitchen boasts custom cabinetry, Viking Pro appliances with butler pantry and kitchen service area. The home is an entertainer’s dream come true. Professionally wired for sound throughout. Attention to detail throughout this very special Cesar Justiniano creation. Please contact me for more information on these fine properties and any others you might have questions about.